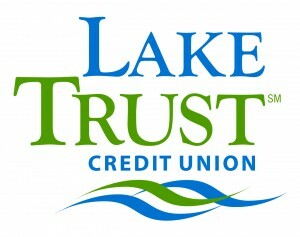 Lake Trust Credit Union is the new major sponsor of the Michigan Challenge Balloonfest, June 26-28 in Howell. This is the 31st year of the event, hosted by the Howell Area Chamber of Commerce and held at the Howell High School campus. The three-day festival features the state championship of hot-air ballooning, as well as family entertainment and activities. New attractions include an Open-Air Marketplace and art with Paint and Pour. Other highlights include: balloon launches and fly ins, Renewal by Andersen Skydivers, carnival, arts festival, MediLodge Fireworks on Friday night and a Saturday night balloon glow. Lake Trust Credit Union is Michigan’s fourth largest credit union with branches stretching from Lake Michigan to Lake Huron and Lake Erie. With more than $1.6 billion in assets, Lake Trust provides approximately 170,000 members with best-in-class products and offers individualized, trust-based member service. As a community-based credit union, Lake Trust strongly believes in supporting its communities and participates annually in Komen for the Cure® in Ann Arbor and Lansing, as well as over 100 events and causes annually throughout Michigan. Membership is open to anyone within its 35-county service area. Follow Lake Trust on Twitter @laketrust. Lake Trust is also on Facebook.